Thus began an impassioned immersion into Chinese life. 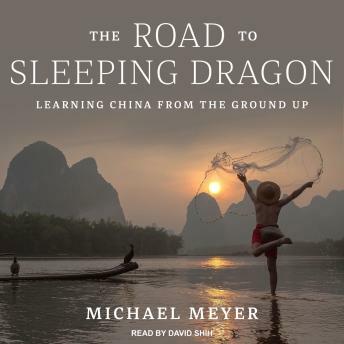 With humor and insight, Meyer puts listeners in his novice shoes, winding across the length and breadth of his adopted country-from a terrifying bus attack on arrival, to remote Xinjiang and Tibet, into Beijing's backstreets and his future wife's Manchurian family, and headlong into efforts to protect China's vanishing heritage at places like 'Sleeping Dragon,' the world's largest panda preserve. Both funny and relatable, The Road to Sleeping Dragon is essential listening for anyone interested in China's history, and how daily life plays out there today.